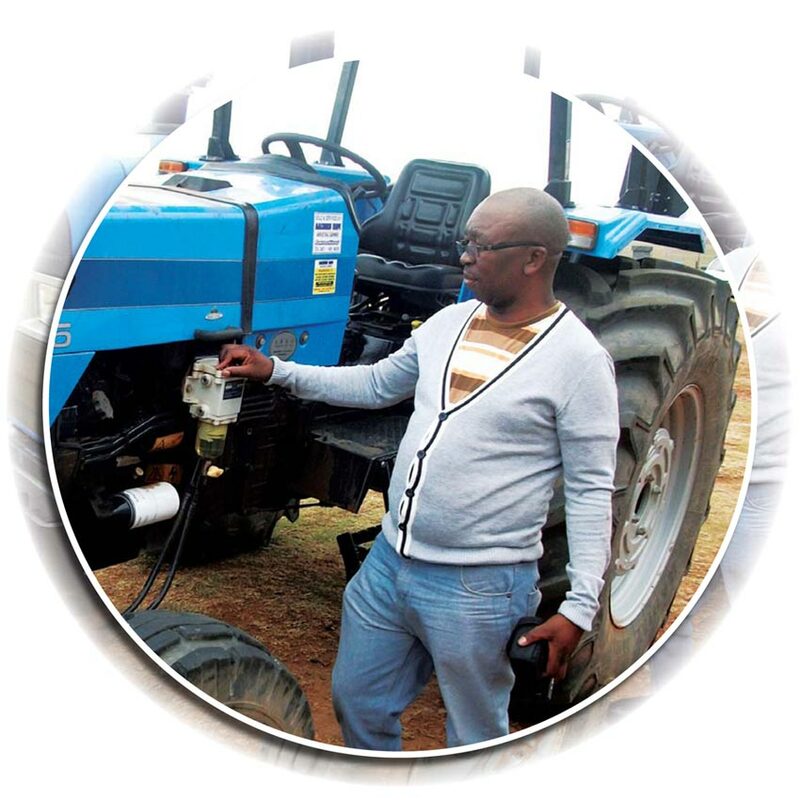 Michael Ngayibeki Mbalo is a young, energetic and passionate farmer from Mthatha, who is very eager to learn and practise the skills he has received from the Grain SA Farmer Development Programme. I am a communal farmer in Mthatha in the Baziya Administrative Area in the OR Tambo District Municipality. This season I produced 7 hectares of maize and 1 hectare of potatoes. In total I own 14 hectares, where I plant maize, beans and potatoes. I also farm with sheep and beef cattle. The Grain SA Study Group members motivate me. After I opted for a voluntary package from the gold mine in Marikana, where I was employed, I approached the Grain SA Mthatha office and received advice on the purchase of machinery and implements for agricultural farming. I am still young with a lot of farming energy and passion and still very eager to learn and practise training skills and advice obtained. When I started farming, I produced 2,5 t/ha, now I am a Grain SA advanced farmer producing 4 t/ha. I attribute my progress and success to the Grain SA Farmer Development Programme that provided me with training courses, advice, study group services, practical demonstrations and farmer days. I also always have Pula Imvula at hand for reference and this contributed to my progress. The above training and assistance helped me increase my yield. I have completed the Introduction to Maize Production course, Tractor Maintenance course and Setting of Implements course. I would also like to do a course on Farm Management for Profit as well as receive training in welding, grinding and spray painting. In five years time I want to have 30 hectres of maize and be producing more than 5 t/ha. To the young farmers out there, I would like to advise and encourage them to group themselves and form a youth co-operative. They should rather till the land for earing and stop committing crime. They should know that farming is a business that creates jobs. Article submitted by Lawrence Luthango, Development Co-ordinator of the Grain SA Farmer Development Programme, Mthata. For more information, send an email to lawrence@grainsa.co.za.